Here’s a DA (and AD too) converter that you don’t see regularly. 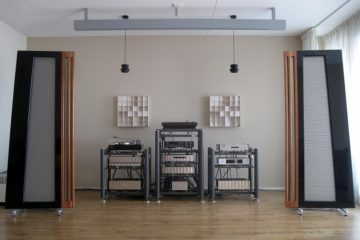 Nevertheless it has gotten very good press and since a friend of mine was very curious to its soundquality, we arranged a loaner-unit from the importer and compared it to my resident Mark Levinson no360s and Audiomeca Enkianthus. 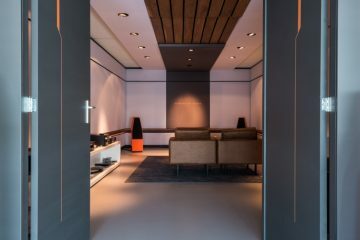 The DAD is a studio dac and it shows in its styling: utilitarian rather than sophisticated. But the fronpanel is very informative and after all, it’s the sound that counts, right? The model we listened to and that is shown on the pictures here is an older one, styling-wise. The recent model no longer has the Axion logo, nor the big pushbutton next to it and therefore makes a cleaner impression. The dac was of course well-warmed up before listening began, although it never got even warm to the touch. It was mounted on Ceraballs and tried with both Cardas and Transparent interlinks and of course we also experimented with the powercable. 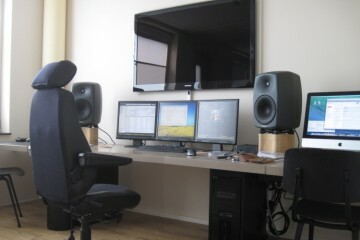 The latter turned out to make a large difference to the sound. 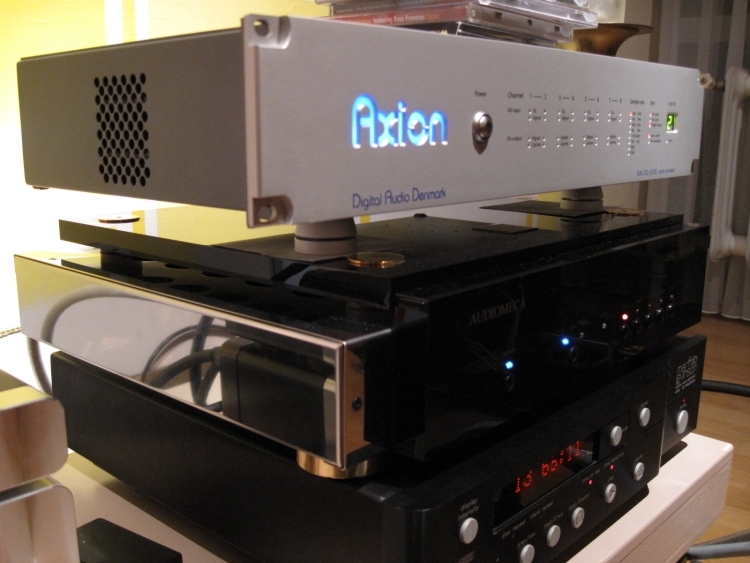 From the get go this dac was transparent, open, lively and well-paced in its sound delivery. It offered a highly neutral sound that nevertheless was never agressive. On the contrary: hee was a dac that was both lively and informative yet entirely well-mannered. Besides a very informative and natural midband it possessed a full, rich, deep bass and absolutely no hardness in the highs. 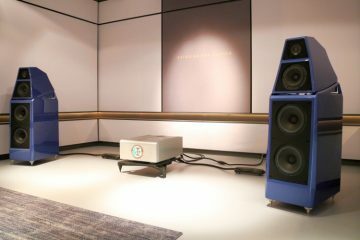 It offered an altogether different soundsignature than the Levinson no390s, which was more laidback and lush and had a wider, deeper, bigger soundstage and more airy highs. The Levinson was more Rowland-like if you will. Friendlier. If you’ve read more reviews here, you’ll probably know by now that I like lush. I guess I am just a smooth-going guy! But regardless of my preferences, I can tell that the DAD is one classy dac. It beats the Audiomeca and from memory, it also beats the dcs Delius-Purcell combo at least in the bass and dynamics departments. Perhaps the dcs was more layered and the dcs was definately more airy and refined in the highs. But the dcs combo is a lot more expensive than the DAD. And you’ll still have to like dcs’s kind of aenemic presentation. The DAD is way more natural and lively. It sounds like life music. 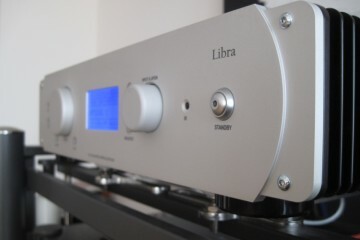 When compared with the Audiomeca dac, the latter was a bit more relaxed and smooth in the highs but the DAD won in every other aspect: focus, detail, dynamics and most of all: bass! It just has killer bass. The bass is full, deep and rich, but also nimble and never slow or boisterous. 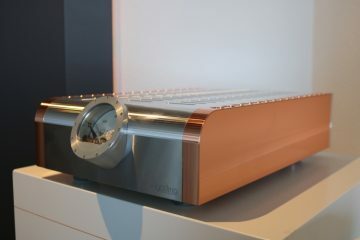 It was in fact the best bass I’ve heard since the Wadia 861. 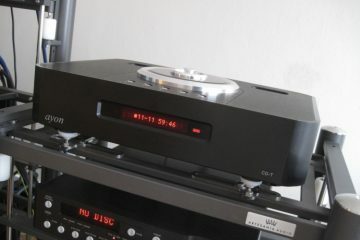 This was when the dac was used in combination with the Mark Levinson no390s as a cd transport. Then we connected the PC, which was, after all, the source that my friend actually wanted to use the DAD for. Now I need to give a little forword here because dacs can be very intolerant to high jitter sources such as a PC. 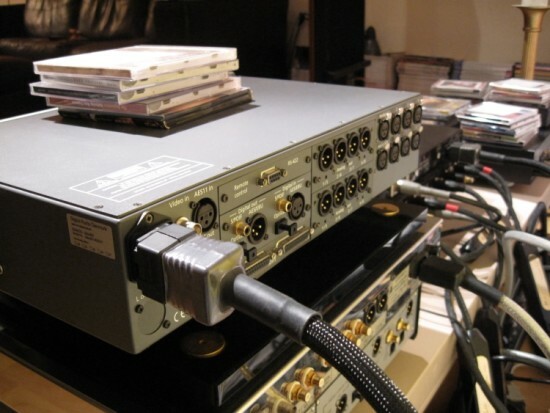 I don’t know quite why this is (although I have theories of course) but it has become clear that among the many dacs that I have owned, some are very forgiving and others are very rigid. 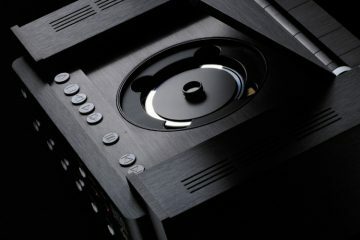 By that I don’t mean the generic sound signature but the tendency to sound brilliant with a good cd transport while sounding really bad with pc. 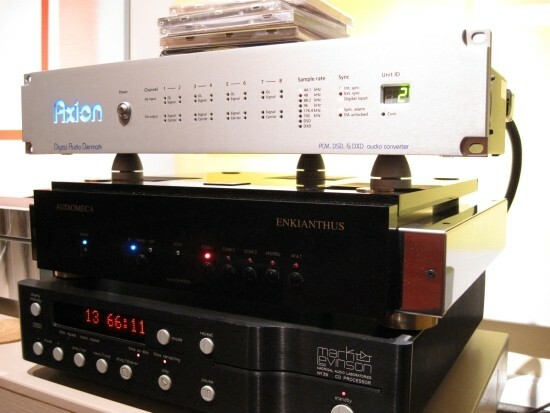 The various Wadias I have had are examples of dacs that sound restrained, dull and flat when a PC is used for a source while the Audiomeca and Mark Levinson are examples of dacs that are extremely tolerant in this respect. The thing was, with CD as a source (Levinson no390s), the DAD sounded extremely good. Even though it wasn’t entirely my cup of tea, I have to be honest and proclaim the DAD as good as the Levinson no390s. They just offer different perspectives. But with a PC for a source the DAD sounded… flat, grey, dark, I don’t know how else to say… to me it sounded digital. It was still very detailed and still had killer bass but somehow the performance wasn’t credible anymore. You could really tell you were hearing PCM now. Te music was good, but not entertaining anymore. We now had a tendency to turn the volume down as opposed to up. In comparison, the Audiomeca was much more fluid and engaging, even though it lost out in bass and dynamics. 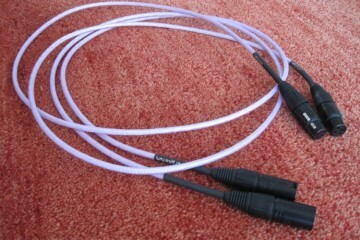 But the biggest surprise came when connecting the PC to the Levinson no360s. Here we had real sound. 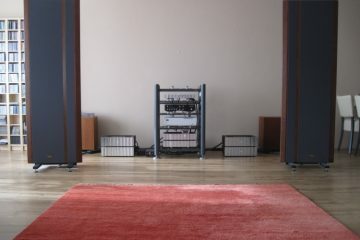 Not PC like, not PCM like, just fluid, relaxing, full sound, with a wide and deep soundstage and fluid, open and airy highs. 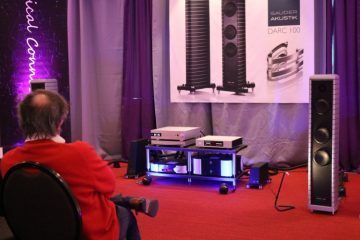 Sure, the livelyness in the midrange was reduced and the bass was less powerful but now we were enjoying the music again. To the right hand side of the unit is a fan that is alarmingly loud. Maybe it was an ageing unit and the noise will be less in a newly bought unit but nevertheless I want the reader to be aware of this. The fan has variable speed (after switching the unit on it is really loud, then speeds down) but it is still so noisy that you can easily hear it from a few meters away, even when the music is playing softly. I’m sure that this fan can be useful when the unit is rackmounted inbetween other processing units but standing by itself, it never got warm so I think that the fan may not really be needed for normal use. If you’re looking for a smooth operator you may have to look elsewehere. For example the Levinson no360s is much more rich and creamy, and is more lush as well as more layered. 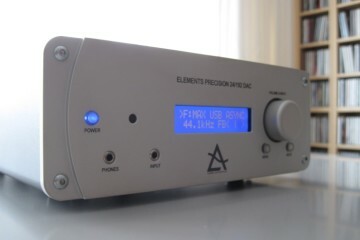 But if you want an honest, open and lively dac that doesn’t hide anything yet isn’t “studio” like clinical this might be the perfect dac for you. The DAD might not be a looker but its sound certainly belies its utilitarian looks. did you ever review a NAA like microrendu or sotm sms-200 ?